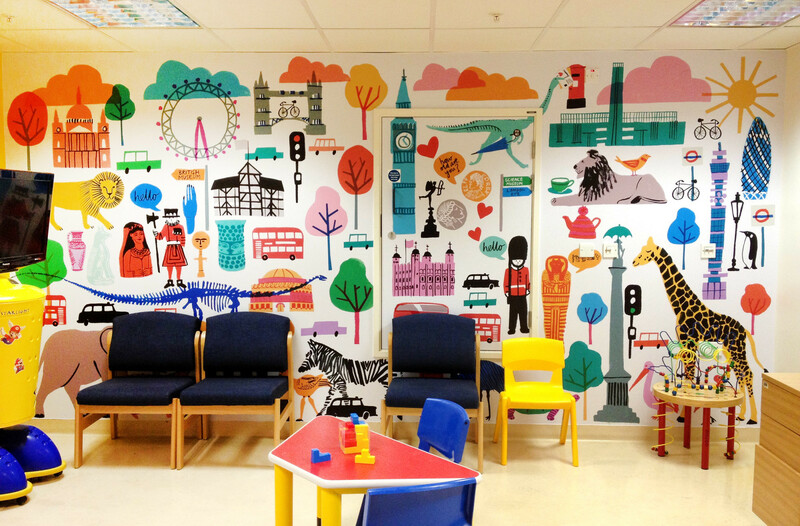 Peepshow and Studio EMMI helped bring play into the children's and young adults' wards at University College Hospital in Euston, London. 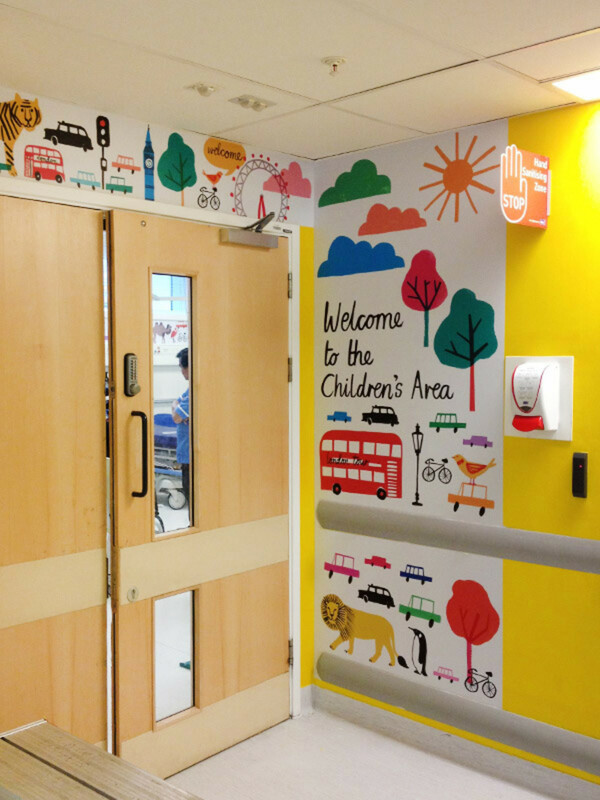 The project, funded by UCLH Charity, transformed clinical white walls with vibrant graphics and engaging images that provide a more welcoming environment to staff, patients and their carers. 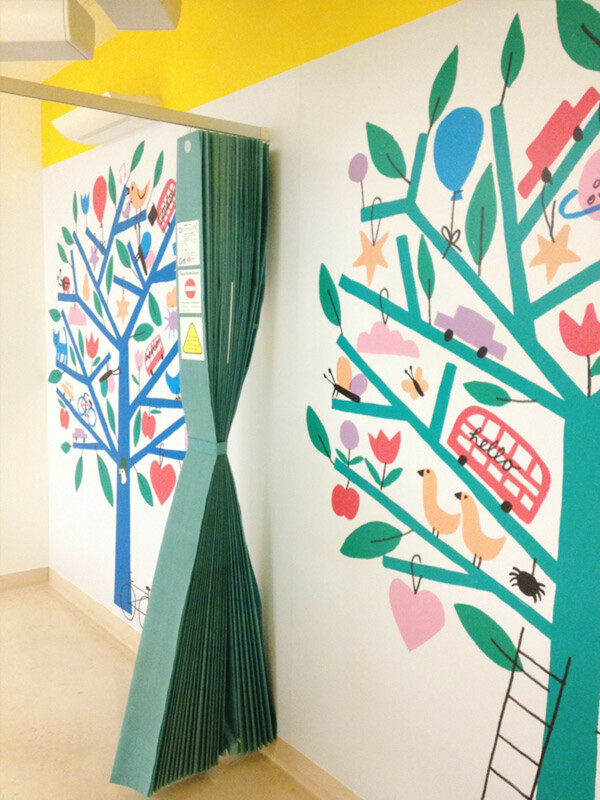 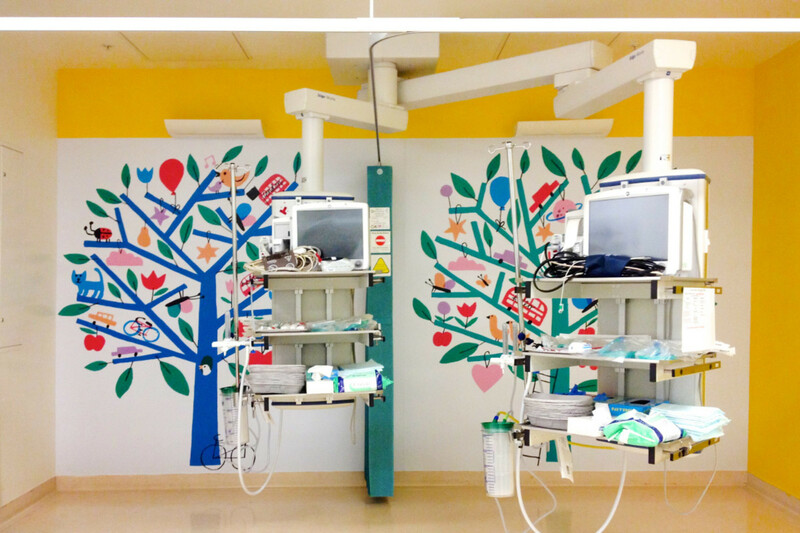 This particular work was installed into three paediatric areas: accident and emergency, anaesthetic unit, and theatre waiting area and recovery ward. 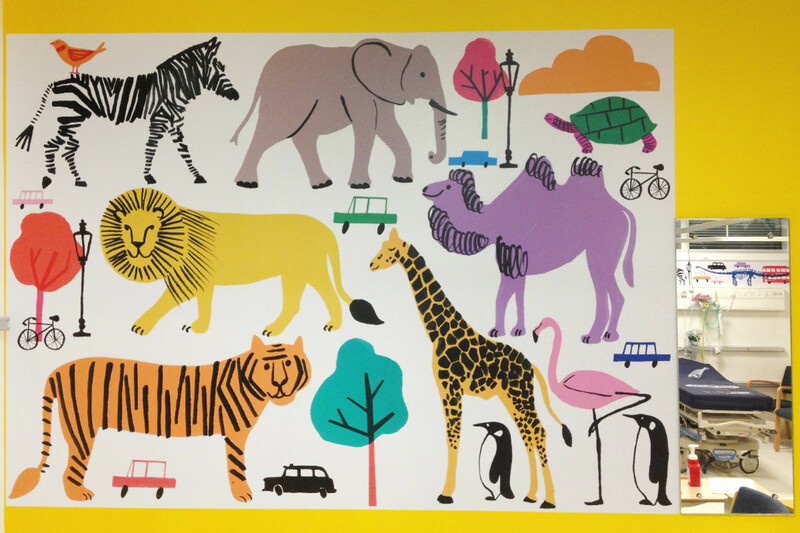 London's landmarks, parks and animals were used to bring the outside into the wards, providing detail to distract and reassure.